The taxi lobby in Goa is up in arms against tour operators. Conflicts between taxi drivers and tourists in the Indian state of Goa were very few last year, and those involving foreigners even rarer, but after the New Year holidays, such incidents have increased significantly. After an agitation by taxi drivers that virtually led to the cancellation of an Indo-Russian music festival, another strike was held by Goan cabbies this week. It would have passed relatively unnoticed (given all the other such events) if it did not turn into a mass scuffle. Several thousand people took part in it. On February 24, some angry taxi drivers attacked tour buses to stop tourists from getting into their hotels. By the end of the day, the protesters started setting car tires on fire. As a result, several vehicles were seriously damaged, but there were no casualties. A little later, the taxi drivers clashed with police. Law enforcement officers used tear gas and clubs. A little more than a dozen of the most violent taxi drivers were arrested. Many companies were forced to cancel their programs, as the taxi drivers simply do not give any opportunity for foreigners to visit them. No one knows how long these campaigns will continue. This unfavorable situation in the tranquil resort has forced the Russian Information Center to issue a warning to tourists. The representatives of the agency expressed their concern for the lives and health of Russians, asking them to be more circumspect and avoid possible conflicts. Along with this advice, the tourists were asked to pay attention to the certificates of travel agencies, and not to use illegal firms. Local authorities and representatives of the Indian tourism industry could not close their eyes to what was happening, and promised to strengthen the fight against illegal tourist businesses, which were the cause of discontent. Even a committee was created that is responsible for the management of situations of this kind, and for reducing tensions between the two sides. The Goa Tourism Department condemned the activists’ behavior and called this day a terrible day for foreigners. Nevertheless, no significant actions were taken to facilitate the solving of outstanding problems. “It is easier to stop the flow of tourists and thus stop the popularization of Goa, because after all these events, the result will be zero,” said Francisco Braganza, president of the State Association of Travel and Tourism. Commenting on recent incidents, he said that complaints about taxi drivers and information about attacks on tourists come to the department non-stop. 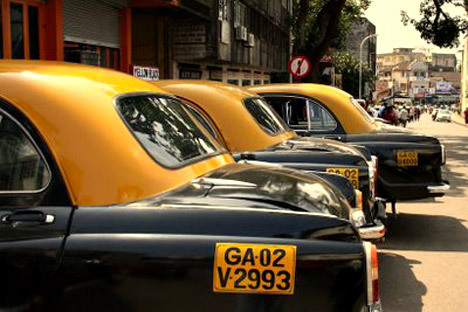 Braganza noted that taxi operators are doing everything possible to discourage foreigners to visit Goa, destroy tourism in the state, and are having a negative impact on the reputation of the local resorts. Never the less, Russians continue to buy tickets to this Indian state. In the upcoming season, tour operators intend to send more than 200,000 travelers to Goa and this is a very significant amount. If the flow of tourists begins to decline, it will affect the popularity of the resort, and as a result, the economy of Goa.